Substance, collectibility, timeless style, utility, and skylights! 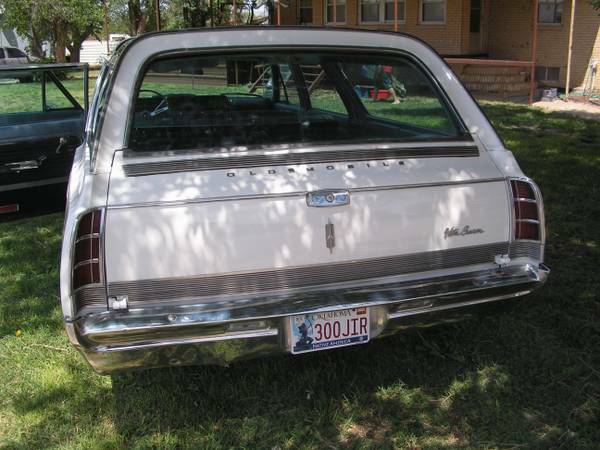 What's not to love about the Oldsmobile's classic Vista Cruiser? While the second generation of Olds' family truckster was popularized by mind-altered teens on That '70s Show, the first is a bit cleaner, a bit classier and just as cool in its own way. It's a GM A-body so there will be plenty of space but it's not as huge and wallowy as a traditional "full size" car which is even more massive. 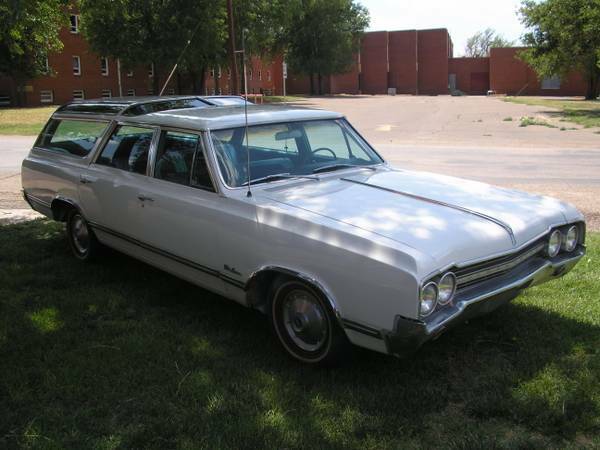 Find this 1965 Oldsmobile Vista Cruiser here on craigslist in Goodwell, Oklahoma for $9500 or best offer. For less than $10k this Cruiser seems to be a heck of a deal. Paint looks decent (although white tends to hide all sins), it seems complete, un-wrecked and cared for. It even has air conditioning. The VC is equipped with a 330 cubic inch (5.4L) Rocket V8, and a two-speed Powerglide automatic transmission. Purists would keep it stock but we'd be tempted to drop in a modern LM7 5.3L or a nice used LS1 and an overdrive-equipped modern auto trans for freeway cruising, but keep the original drivetrain in the garage to retain the original value. The interior in this one is claimed to be all original, which is pretty miraculous considering that this a 48-year-old people hauler. The light blue / dark blue metallic color combo looks great and that bench seat is just waiting for some action...and the back seat too..
We couldn't post Denise without a shot of her trademark four skylights which give rear passengers a nice view of the trees, stars, sun, flying squirrels, quad-copters..etc. 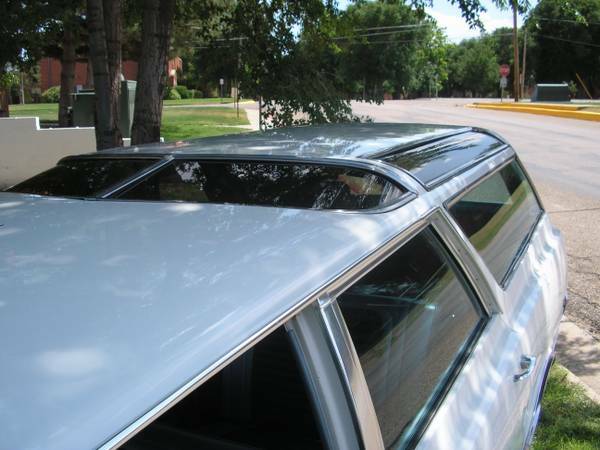 GM's bean counting executives were even nice enough to allow inclusion of rear sunshades to cover them up when desired. I was just doing a little research on my car and found... my car. I ended up buying this beauty as a 30th birthday present to myself. My dad and I drove to Goodwell from OKC and drove her all the way home several hundred miles. I thought I'd let you know what she's been up to in case anyone was curious. The backstory I got from several folks in town was that she was the ambulance for Goodwell until about 7 years ago when it was retired & sold. The paint had been redone a couple of years back - the paint and replacement of the trim had been done somewhat haphazardly, though the paint is more than serviceable. The engine ran a little rough but I found out that was from a plug wire that wasn't seated properly. It had a few problems that you'd expect from a car that had sat for a few years - I had to replace the battery & alternator, and the points weren't working so well (I bought an ignitor solid state points replacement for that). The engine starts & runs incredibly smooth, and just turned over 100k this summer. I found out, though, that the big issue with 64/65 Vista Cruisers & Buick Sport Wagons is that the rear end wheel bearings have a bad tendency to fail and lock up, and they're incredibly hard to find. She's currently waiting for her rear end to get out of the machine shop with the last 2 new old stock bearings I could find anywhere. The Jetaway transmission (slightly different from chevy's powerglide) is also a little weak and will need to be rebuilt in the next couple of years. My plan is to keep her pretty close to stock since 315hp & 360lb-ft will make just about anything move pretty well... that is until/unless it blows up, which will be a good opportunity to drop in a built olds 350 since the only quick way to tell the difference is placement of the water pump. ~ congratulations, Travis. 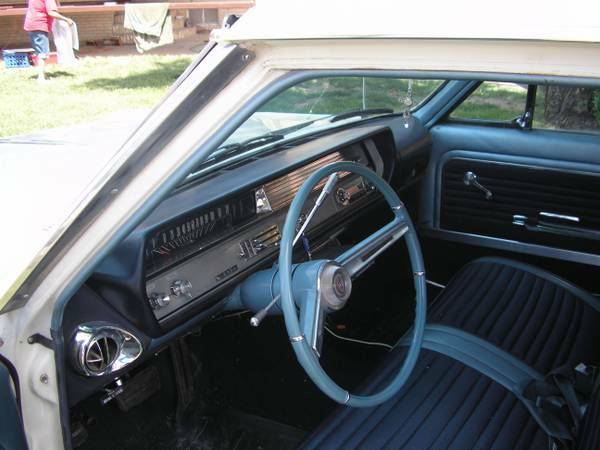 sounds to me like this Vista Cruiser has found a good home. glad to know someone is caring for her properly. keep the reports coming.